The P&H Delphin MKII 155 in CoreLite X is the absolute pinnacle of modern polyethylene sea kayak design; go rule the waves. In both appearance and performance, the P&H Delphin is entirely unique; over 45 years of Pyranha whitewater kayak innovation, infused with P&H's design heritage that dates back to 1968 has produced a sea kayak that river paddlers looking to expand their horizons will feel instantly at home in, and that allows experienced seafarers to rediscover and build upon the same excitement felt when they first took to the waves. 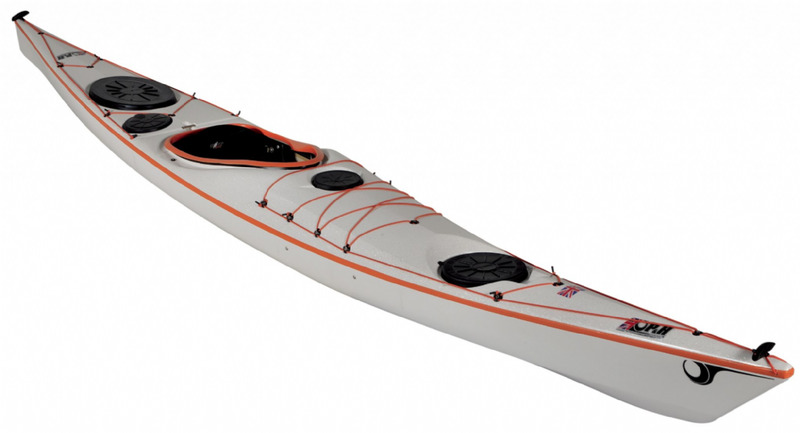 The Delphin MKII 155 advances the milestone modern sea kayak design of the Delphin to include a much-requested day hatch, providing a dedicated, quick-access hatch for safety gear, or allowing those embarking on longer expeditions to separate their kit appropriately. The skeg slider has also been re-located to the deck, out of the way of high-angle paddle strokes, and moulded-in fittings to take the P&H Sail Systems have been added, making it simple to take advantage of the benefits of kayak sailing for added safety, increased range and extra speed to catch more waves, and most importantly increasing the enjoyment of your time on the water! The cockpit of the Delphin is positioned further back than in traditional sea kayak design, giving a fine balance that, in combination with the progressive bow rocker, leaves the front of the boat just kissing the water, resulting in superb manoeuvrability and excellent positioning when riding even the steepest of waves. For the Delphin MKII 155, the area around the front of the cockpit has also been re-profiled for greater comfort and connectivity. When catching surf, the hard bow chines of the Delphin's hull engage quickly and make sure you’re in control and towards the smoother, front end of the wave, whilst the softer stern edges allow you to make easy course corrections and the high volume, dynamically shaped bow prevents purling by splitting and shedding water quickly, as well as helping punch through the surf on the way back out to continue the fun!